Now that the Golden Globes are over, it’s time to start thinking about how we can hack the best hair + beauty looks from the red carpet for ourselves! One of the coolest ‘dos we spotted last night was on Rooney Mara. She rocked a braid-in-a-braid (a braid-ception of sorts, if you will) style. While this style looks pretty complex, if you break it down step-by-step, it’s actually super simple and a great option for the gal who wants a modern style without a ton of fuss. 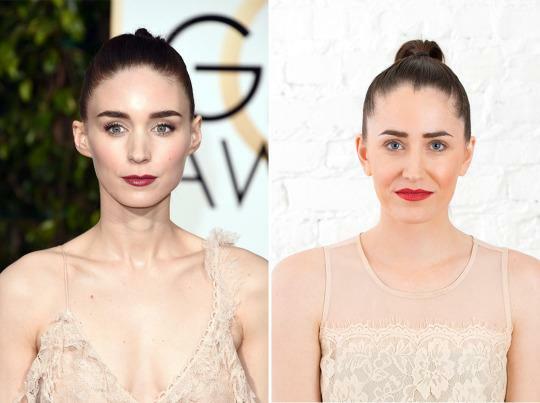 Here’s how you can get Rooney Mara’s Golden Globes braid in six easy steps, staring Rooney Mara’s twin (aka our Commerce Marketing Associate, Sarah!). This look is all about being super sleek, so use a hairspray with a firm hold or spray wax to spritz your roots down so that you’ll achieve that wet finish look. This is one of the few times that crunchy hairspray hair is actually acceptable! Section your hair into two clean sections by using a rat tail comb. Create a part from ear-to-ear, angling it slightly upward as you create the half-circle part. Tie off the top section with a small elastic that blends into your hair. Start braiding your hair with the ponytail you just created. Instead of crossing each piece on top of the other, create an underneath braid, crossing each piece underneath the other. Secure the braid when you reach the end of your ponytail with a small elastic. Thicken up your braid by gently tugging on each piece so you get a widened look. 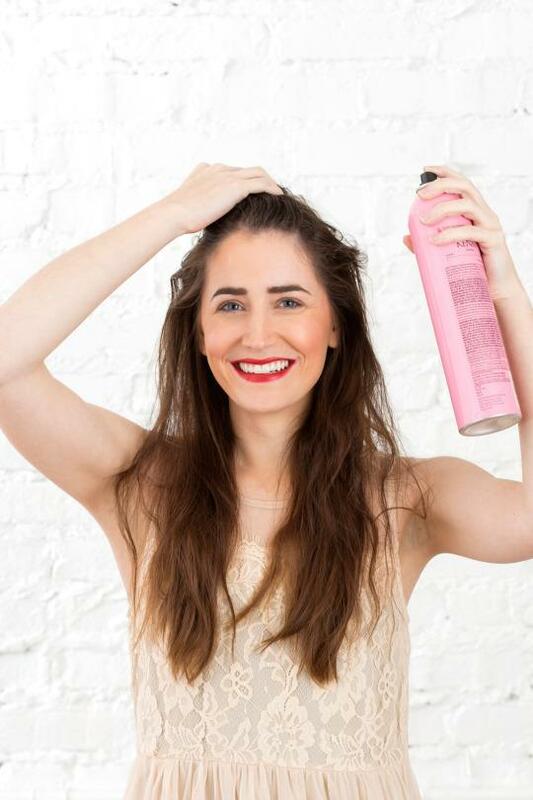 Spritz your look with the same firm hold hairspray you used to prep with. After that, tie off the lower section of your hair into a low ponytail with an elastic. Wrap a small piece of hair around the elastic to disguise it! Now for the fun part that takes this look to the next level. Take your lower ponytail and separate it into three sections (like you would for a normal braid). Consider the middle section and the thick braid you just created to be one section. Incorporate the two braids together by creating one big braid with the lower ponytail and thick braid you created earlier. Braid until you reach the ends and secure with an elastic. Using the same pancaking technique, thicken up your new, lower braid so it blends in seamlessly with the top braid. Pop in a few bobby pins to hide any stray hairs and/or give this ‘do some extra staying power. What are your favorite looks from the Golden Globes? Tweet us which celebs had epic ‘dos @britandco!